A New Dietary Paradigm for Transforming Health! Book Publishing Company is delighted to release a dynamic new cookbook that offers a revolutionary and holistic approach to healthful eating. Most of us would balk at the idea of a SOS-free diet—one completely void of salt, oil, and sugar. And trying to prepare meals without these basic ingredients would be daunting. With BRAVO! Health-Promoting Meals from the TrueNorth Kitchen, executive chef Ramses Bravo has successfully mastered the art and science of healthful cuisine and delivers palate-pleasing food that also serves as the optimal diet for health. Ramses had years of experience as a chef at hotels, spas and restaurants. After taking the job at TrueNorth Health Center in 2007, he participated in one of their programs and discovered a new quality of life. Redirecting his love for eating and cooking in a more healthful direction, Ramses took on the challenge of creating and developing a new cuisine that adhered to SOS (salt, oil, sugar-free) guidelines, used whole, unprocessed plant-based ingredients, and still tasted delicious. Ramses skill at combining simple flavors and textures that complement each other to perfection is evident in this collection of recipes. These dishes will not only help to regulate appetite and maintain weight but also protect against a host of diseases due to the absence of harmful saturated fats and cholesterol. The recipes, 14 days of menus along with helpful tips for using whole foods developed to serve clients from every walk of life, help make for an easy dietary transition. Anyone who wishes to renew their health, lose weight, have more energy or simply make a positive change in their life would do well to experience this style of eating. Ramses Bravo, the executive chef at TrueNorth Health Center, has been delighting guests with healthful, delicious meals since 2007. He has also worked in numerous hotels and restaurants in California, Hawaii, and West Virginia over his 14-year career, including a position as executive chef for the renowned Kenwood Inn and Spa in Sonoma, CA. Articulate, inspiring and energetic, Dr. Alan Goldhamer is one of health’s most pioneering and dedicated visionaries. An outspoken professional who doesn’t shy away from a spirited debate, he is deeply committed to helping people stuck in self-destructive cycles reclaim their ability to change their lives. He is the founder of TrueNorth Health Center, a state-of-the-art facility that provides medical and chiropractic services, psychotherapy and counseling, massage and body work. He is also director of the Center’s groundbreaking residential health education program. Dr. Goldhamer has supervised the fasts of thousands of patients. Under his guidance, the Center has become one of the premier training facilities for doctors wishing to gain certification in the supervision of the therapeutic use of fasting. He is on the faculty at Bastyr University where he teaches the course on clinical fasting and was the principal investigator in two landmark studies. The first, “Medically Supervised Water-Only Fasting in the Treatment of Hypertension” appeared in the June 2001 issue of the Journal of Manipulative and Physiological Therapeutics. Its publication marked a turning point in the evolution of evidence supporting the benefits of water-only fasting. The second study, “Medically Supervised Water-Only Fasting in the Treatment of Borderline Hypertension,” appeared in the October 2002 issue of the Journal of Alternative and Complimentary Medicine. He is currently directing a prospective study incorporating random assignment and long-term follow-up on the cost and clinical outcomes in the treatment of diabetes and high blood pressure with fasting and a health promoting diet. This current study is being conducted in conjunction with the International Union of Operating Engineers who have made participation in this program a fully covered medical benefit for all members afflicted with diabetes or high blood pressure. 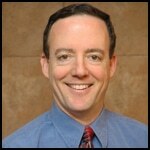 Dr. Goldhamer is a graduate of Western States Chiropractic College in Portland, Oregon. After completing his chiropractic education, Dr. Goldhamer traveled to Australia where he became licensed as an osteopathic physician. He is the author of The Health Promoting Cookbook, and co-author of The Pleasure Trap: Mastering The Hidden Force That Undermines Health and Happiness. Caryn Hartglass: We’re going to be talking about SOS free food, no sugar oil or salt, and guess what it’s delicious! (Really!) I’m going to be talking with Dr. Alan Goldhamer who is the founder of True North Health Center, a state of the art facility that provides medical and chiropractic services, psychotherapy and counseling, and massage and body work. He is also director of the center’s groundbreaking residential health and education program. Dr. Goldhamer has supervised the fasts of thousands of patients. Under his guidance the center has become one of the premiere training facilities for doctors wishing to gain certification in the supervision of the therapeutic use of fasting. Thank you for joining me today Dr. Alan Goldhamer. Alan Goldhamer: Well it’s my pleasure. Caryn Hartglass: I am so happy to be talking to you, you have no idea how long I’ve wanted to get you on this show. I’ve heard you give talks around the country and I love the work that you’re doing. Caryn Hartglass: I want to talk about the cookbook but before we get to that I want to talk about you and all the great things you’ve been doing at the True North Center. That’s been around for about 25 years now? Alan Goldhamer: Yes a little over that actuallu. Caryn Hartglass: Well, it all starts with that. It’s amazing, I don’t know how we were able to accomplish things a quarter of a century ago without the internet, without social networking – how people found out anything at all it really boggles my mind. But it’s here and now and its 2012 and a lot of wonderful things are happening especially at the True North Health Center. So this is a place where you do a lot of different things, lets touch on some of them. Alan Goldhamer: Well we have an integrated medical facility so we have doctors of medicine and chiropractic and naturopathy and psychology all working together to try and teach people that health results from healthful living. So we focus on diet, sleep, exercise and also the use of fasting to give the body a chance to heal itself. The diet that we use is a very specific diet, it’s a diet of whole natural foods and we avoid the chemicals that are commonly added to food called salt, oil and sugar. In doing that we give people a diet that they can eat ad lib as much as they desire and still be able to lose weight and rebuild their nutrient reserves and so its a really specific diet and a natural diet. In the past it was hard for people because when you take the sugar oil and salt chemicals out of the food, at first people go through a little bit of a withdrawal effect, they are kind of caught by the artificial stimulation of doping of their brains that comes from these chemical additives. And when you remove those at first they don’t like food, but then, as they adapt, they get to the point where they not only tolerate it but they actually prefer it. And of course then they get all of the side health benefits that come from eating a whole natural food diet. Caryn Hartglass: So there has to be some leap of faith in believing that in a short amount of time they are going to recalibrate their taste buds and that things are going to taste better. Alan Goldhamer: It used to be it took a big leap of faith because the foods that were presented to people were not attractive or appealing. Fortunately for us we were able to find a chef who was conventionally trained – he went for four years at the Green Briar and he was the executive chef at a very prominent resort for four years before we hired him. He was trained in conventional food preparation and has fully adopted a health promoting vegan, SOS-free diet approach and he has figured out how to blend the two, to use those traditional skills of presenting attractive food and yet still make it healthy. As you know most conventional food is just a carrier agent for salt oil and sugar so you can make anything taste good if you throw enough salt and sugar into it but to make good food taste good without SOS the first step is you have to start with good food, and the second step is you have to have an approach to it that takes into account both taste and aesthetics and Ramses has done a fabulous job with that and he has culminated in his book Bravo. Alan Goldhamer: Well now you’re going to be able to have treats without the addition of sugar because Rames has included a desserts and treats section in his cookbook and these things are fabulous and yet don’t require the addition of these additives to the diet. Caryn Hartglass: Yeah, it’s great, it really is great. Alan Goldhamer: We had an interesting experience, one of Ramse’s recipes in the Bravo cookbook is mango banana pie. Caryn Hartglass: Oh, I want to admit that’s my favorite one . Alan Goldhamer: It’s a fabulous recipe, and it includes coconuts and dates that provide a bit of sweetening and of course it has mangoes and bananas and he has a fabulous way of putting this together. One of our patients took one of these pies to their family holiday get together. The comments were interesting. She said first of all, even the teenagers loved it and they made a comment “mom, this mango pie tastes great, but it has mangoes in it!” The fact is if you get really good food and you put it together really well you can have delicious tasting celebratory treats without having to resort to poisoning yourself with the artificial addition of chemicals to fool your brain and lead to people overeating and becoming fat, sick, and miserable. Caryn Hartglass: Well I think most of these desserts you can have any time of the day, for breakfast, lunch or dinner. Alan Goldhamer: Absolutely. These foods in the Bravo cookbook, because they are all from whole natural foods you find that you don’t have to be as concerned about the temptation and get yourself into trouble with them. Caryn Hartglass: You’ve been involved in some ground breaking research and reporting on hypertension. Can we talk a little about some of that? I know so many people that have high blood pressure, they’re on medication, and they really don’t believe that there’s anything they can do about it. Alan Goldhamer: The fact is the majority of people in industrial societies, if they manage to live to retirement age will develop high blood pressure. It’s becoming ubiquitous, it’s the leading contributing cause of death and disability, the leading justification of prescription medication. It’s the principal contributing cause of the diseases that debilitate people including stroke and heart attack and kidney disease. And so it is a very important condition, our society spends billions of dollars on research and drugs that unfortunately don’t work work very well. We were very fortunate in that one of my patients happened to be a very prominent Professor at Cornell University, his name is T. Collin Campbell the author of The China Study and he was the first scientist to discover dioxin. He isolated dioxin, got some exposure and decided to come to us to unwind the consequence of that, and undertook some fasting with us, this was many years ago. And he saw the work we were doing and the data we were collecting on high blood pressure, felt it was very important, and suggested that he take that research back to Cornell with him and get his team to help analyze the data and help us get this research published. He did do that, he took our data back to Cornell, we took 174 consequent patients had high blood pressure and we put them through fasting of between 5 and 40 days and then re-fed them on a plant based SOS diet just like we lay our in Bravo. What we found was that people with high blood pressure normalized their blood pressure. In fact it was so consistent that 174 our of 174 patients were able to achieve normal blood pressure without having the use of medication. That paper was eventually published in a period index journal and it demonstrates the largest effects that have ever been shown in treating high blood pressure in humans. Essentially everybody with potential hypertension that is willing to follow this program is able to eliminate the need for medication. And so it was very exciting. Our average effect size, the average drop in blood pressure in stage 3 hypertensive, that is patients that you can justify medication use in, the average drop was over 60 points which is a huge effect size. And Dr. Campbell saw that and he took it back and turned it over to his team and in confidence they told me later, when Dr. Campbell came back from the True North Health center where he had undergone fasting, they thought maybe he had suffered brain damage because they said the idea that some chiropractor quack in California starving people to treat their high blood pressure was the stupidest idea they had ever heard of – until they saw the data results. Caryn Hartglass: Well, there have been many great researchers and scientists who have been accused of that and then we discover they really knew what they were talking about. Alan Goldhamer: When it comes to fasting we didn’t discover it, you know if you read many books including the bible, Moses, David, Elijah and Jesus fasted for as long as 40 days and in some cases many times. This is an ancient practice that has been well recognized, it’s recognized by basically every religious tradition, and all we’ve done is applied it in cases where people are sick, generally as a cause of dietary excess. Excesses of fat and protein in general, excesses of animal fat and protein in particular, leads to these diseases that used to be called the “diseases of kings” and now they are common ubiquitous diseases we are all eating like only the wealthy elite used to be able to eat. As a consequence we are developing diseases that are caused by our diets. The reason why we are excited about the Bravo cookbook is because it gives people attractive easy to make foods that taste good that don’t contain the things that cause the problems. The Bravo cookbook is nice because I’m not a chef but even I can make these recipes and they turn out good every time. Caryn Hartglass: They’re very good, and the point is you are using whole, fresh, quality fruits and vegetables. I think a lot of people unfortunately don’t know much about produce, or they don’t buy it from quality places, or maybe it sits around for along time but when you get into the hang of it it’s really easy, it’s really simple, and it tastes delicious. What I want to know is if people don’t do the fast and they just change their diet and they get on the SOS-free Bravo diet, do you know how long it takes to see the change in blood pressure? Alan Goldhamer: We do, actually. And more important, the change in taste adaptation. In other words we know from the scientific literature that if you go from a conventional high salt diet which is what most people are on and you go to a low sodium diet where you limit the added unnecessary toxic excess added sodium chloride to the diet it takes most people about 4 weeks to neuro-adapt to where good foods start to taste good. At first good foods don’t taste good because you are addicted to the artificial stimulation of those chemicals added to the diet but eventually your taste buds will adapt and then you get to the point where you actually just assume not have all that salty stuff. Alan Goldhamer: In the case of fat it’s actually a little bit more complicated. When you take oil and process fats out of the diet it can take people as long as three months to fully adapt to where they feel satiated and comfortable without all that grease and fat in the diet. So it can be a long transition and that’s why if somebody is finding it’s too difficult to adapt to a healthy diet even though they believe it and they know they should eat this way but they’re having trouble and struggling because of their addictions to the pleasure trap then what we find is if we put them on a period of fasting, that transition happens much quicker. For people who are already eating pretty well oftentimes this transition is simple, and quicker, and they don’t have to go on a fast or do anything else they just have to fully adopt the diet. So for a certain percentage of people we can just give them the Bravo cookbook and they follow the two week integrated recipes and they make the recipes, they eat the food, and they get healthier. In the case of blood pressure, it depends. Now we see very sick people. Some of them come in 240 over 140 and on six medications. If you see people who are very sick it takes longer than if you se people that are not as sick and they are dealing with it earlier. Our fasting durations range from five to forty days with healthy eating it might be a week or two, it might be a month or two, and in some cases it might take many months in order to normalize the blood pressure. The other complication is of course getting off the medication. As soon as you adopt the healthy, plant bases SOS diet of course your need for medication begins to drop so you have to work with your physician that prescribes the medication to appropriately withdraw those medications otherwise you can end up with what’s called a hypotensive crises where your blood pressure is driven too low. That’s actually one of the side effects is you can sometimes get well so quickly that you have to be cautious about some of these exogenous agents that are taken. I’d like to point out that SOS is the international symbol of danger. And it also stands for sugar oil and salt, I believe there’s a connection. Caryn Hartglass: Yes, that’s dangerous. Absolutely, I love it. Alan Goldhamer: And what makes the Bravo cookbook unique is that many cookbooks get rid of the fat in terms of the excess oil. Some of them get rid of the sugar, some of them get rid of the salt but as far as I know nobody has been willing to actually step forward and come up with a creative way to eliminate SOS altogether and still have the recipes turn out in a way that people can enjoy them. Caryn Hartglass: I absolutely agree with you. I talk to many many people on this show and I’m always excited to talk about new vegan cookbooks because personally from my point of view I want to eliminate pain and suffering on this planet and when people stop eating animals and stop encouraging factory farming that’s a good thing. But then we talk about health and I’m always disappointed because it doesn’t go far enough. Alan Goldhamer: You know, they say that being a vegan might help you get into heaven because of the moral, spiritual, and ethical benefits of being a vegan, but it will not delay how quickly you get to heaven unless you adopt a health promoting diet. And so just being a vegan is a beginning, it’s not an end. being a vegan may be the best thing for you and the planet, it might be the right spiritual and moral and ethical decision, but you have to go beyond that because if you just adopt a lot of processed sugary salty fatty vegan foods that’s not going to ensure how, you know-soda pop may be vegan but doesn’t make it healthy. Deep fried potatoes may be vegan but it doesn’t mean it will be healthy. So you definitely want to be on a plant based diet but to be on it you also want to eliminate the chemicals that have been added to our food to fool our brains that lead to the overeating and the disease of excess and that’s being SOS free becomes an important consideration. Caryn Hartglass: Do you know what happens when you’re on a primarily salt free diet and then you might go to a restaurant and have something that is normally salted and then you have this sensation in your body and you can’t drink enough water and you feel horrible, do you know what’s going on when that happens? Alan Goldhamer: Well, of course because if you think about salt, if you take a certain amount of it it will kill you. And if you take a tablespoon it will act an an emetic and it will cause you to vomit. And in very very small quantities it is an essential nutrient and the amount of sodium you need is provided by your food. That’s why your brain is so sensitive to sodium because in a natural setting there is no added salt so you are designed to detect very small amounts of sodium chloride in natural foods and it makes it appealing to you. If you add more artificial salt to the food of course your brain, having evolved in an amount of scarcity, thinks if a little is good a lot must be better and you can literally become adapted to that higher salt intake. Once you get off of it though, and you go back and try to eat a cup of soup at a restaurant you actually will experience a burning sensation in your mouth from the excess sodium. I’ve had patients tell me they have told the waiter “oh dear, there seems to have been a mistake, somebody must have spilled salt in the soup,” and the waiter will taste it and say “no, it tastes fine”. What’s changed is not the salt in the soup, it’s that your palate and your ability to detect sodium increases as you get away from adding this in a form of chemical addition to the diet. Caryn Hartglass: You include psychotherapy in counseling at your facility. Why is that necessary? Alan Goldhamer: We have a brilliant clinical psychologist Dr. Doug Lyle a principal author of our other book ‘The Pleasure Trap’ which is the book that talks about mastering the hidden force that undermines health and happiness. The reality is that this change to a plant bases SOS-free diet is one of the most difficult tasks that anybody will do in an industrialized country. This is an exceptionally challenging goal. because we live in a world designed to make us fat, sick, and miserable and to give us what we want not what we need. Everywhere you go people are going to try to undermine your attempts to eat a health promoting diet by giving you things that are extremely appealing. It’s very similar to if you decide to abstain from drinking alcohol and you go to a party and everybody is drinking, they get very uncomfortable with you choosing not to drink. It makes them very self conscious and you create cognizant distance in people. Teaching people how to live in a world that’s not designed to support health is a little tricky matter, and Dr. Lyle is a brilliant psychologist who has helped develop strategies to make this process somewhat easier and more effective. He plays an important role in helping educate our patients on developing strategies so they can navigate this very difficult course of how do you live healthfully when everybody else is becoming upset, and the more successful you are the more upset they become. In our book The Pleasure Trap the first two thirds of it really are all about understanding why this process of doing this is so difficult, why people are so resistant and reluctant. I think a critical part of our success has been incorporating psychology and psychological tenets into our teaching. Caryn Hartglass: Yes, absolutely. Unfortunately we live in a society that is so reductionist. Everything is so specialized and the specialists are only focusing on one particular part of an issue, and human bodies are complex and we really need to address lots of different things when we want to solve a problem. Alan Goldhamer: You know one of the things that I really like about chef bravo’s new book “Bravo” is text in the book in the beginning is rather brief, it’s about twelve pages, but in those twelve pages we very very succinctly summarize why people should be adopting a plant based SOS-free diet. What that does, is it’s a short enough group of material that people who may be a little reluctant to this are willing to read it and consider it. And so this can be a useful book for the friends and family that may think you are a little bit of a whack job because you are trying to eat this healthy diet that maybe you’re not actually a whack job after all. Because of the recipes are readily available, and they look and they actually taste good, I think this is going to be a useful book, maybe it won’t convert everybody who reads it into being a vegan but I think it will make people that read it think maybe you’re not crazy after all. Caryn Hartglass: Absolutely. So you’ve been doing this for twenty-five or so years. Were you doing the SOS free diet since the beginning? Alan Goldhamer: We have been actually, since I was about sixteen years old. I was very fortunate to get exposed to this information very early on and so I’ve had the opportunity to do this and live this for thirty-seven years so far. I’m fifty-three years old right now and I have a twenty-five year old son who has done it since before birth and I think it’s very interesting to see people who have been doing this over a decade. It’s really quite dramatic the differences you see in how they age. Caryn Hartglass: Or how they don’t age. Alan Goldhamer: Exactly. It’s not that eating a healthy diet keeps you from aging, but it allows you to age at a more normal rate. What you’re seeing around you is the rapidity that people are deteriorating unnecessarily because they are addicted to the artificial stimulation of dopamine in their brain that’s brought about by bringing sugar oil and salt and animal foods in the diet. Caryn Hartglass: Twenty-five years ago this type of diet was relatively unheard of. It is very radical and people are coming around slowly. I have absolute proof of that. Fifteen years ago when we introduced our first cookbook called The Health Promoting Cookbook by the same publisher it took one and a half years to sell out the first printing of the book. We just introduced the ‘Bravo’ cookbook to the market and it took 1.5 weeks to sell out the first printing. Caryn Hartglass: Wow that’s exciting. Alan Goldhamer: There are already in the second printing. I mean it’s a huge difference in terms of the willingness to consider the word radical, (which comes from the word radicus or root or cause) dietary approaches to deal with many of the ills that plagues society today. I think that the Bravo cookbook is unique in the sense that I said that it is completely SOS free. It is completely clean. You don’t have to go in here and start modifying the recipes to try to make them acceptable. If you are sympathetic to a vegan diet and you are sympathetic to a health promoting diet this brings it all together. Caryn Hartglass: You’ve got two weeks worth of recipes in here, complete menu plans, everything is very varied and not really difficult to make and all super super delicious. Alan Goldhamer: Also you know he’s really put commonly available ingredients. You don’t have to go and find exotic stuff in order to be able to make these recipes. This is the stuff that you can find in your market or at your local farmer’s market. It’s not a book that was designed for you to have to be some gourmet chef in order to be able to make it. It was designed for real people that just want to make healthy foods that taste good. Alan Goldhamer: We eliminate meat, fish, fowl, eggs, dairy, oil, salt and sugar. Alan Goldhamer: It’s important that you talk about what you’re excluding you say it very quickly, we say meat, fish, fowl, dairy, oil salt and sugar. The reason we say it so quickly is that it doesn’t seem like you’re giving up so much. Caryn Hartglass: Well, you know people don’t realize it but when they turn to a diet like this, their diet becomes so much more varied. As soon as they lift the veil and open the door they’re eating a much more varied diet, so many more foods come into their life, it’s a beautiful thing. Alan Goldhamer: We’ve also done a very detailed nutritional breakdown as you’ve seen. Along with the two weeks of integrated recipes where we break down specifically how much sodium potassium calcium carbohydrates fat protein so you can really see and reassure yourself that you are getting all the nutrients you need despite the people trying to convince you that the diet was ate for thousands and thousands of years is somehow inadequate unless you include their specific highly processed, highly expensive additives. Caryn Hartglass: I’m looking at the tables, and the calories range from 1800 to 2400 or 2700 and I remember there’s a wide range here and it’s great because I don’t think it really matters. There was a study recently that showed that eating the same amount of calories in plants versus results in different amount of weight. Alan Goldhamer: Well it’s like Dr. McDougal is fond of saying ‘The fat you eat is the fat you wear’ and so instead of eating fat we suggest that people just rub it all over their belly and hips, and when they’re done they can wash it off and not have to carry it around all week. Caryn Hartglass: Right. Anyway, I’m looking at this beautiful picture of mango banana pie, it’s so good! Run out and get your Bravo cookbook, it’s really good. Thank you Dr. Goldhamer for joining me on It’s all about Food and keep doing the great work you are doing. Alan Goldhamer: It’s my pleasure, it’s a pleasure to be here, and if your readers want to see the studies that we’ve cited today we have them freely available on our website at TrueNorthHealth.com. Caryn Hartglass: I’m Caryn Hartglass and you’re listening to Its all about Food. Take a visit over at ResponsibleEatingAndLiving.com, that’s where I live, and send me an email at info@realmeals.org and like us on Facebook at ResponsibleEatingAndLiving.com and rate us on ITunes and have a delicious week.